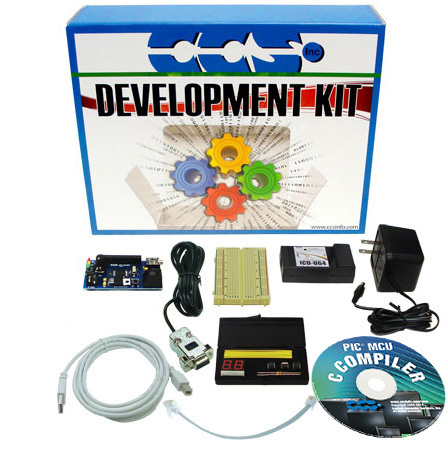 This development kit contains everything you need to begin development with Microchip's PIC® PIC16 family. Along with a prototyping board, it includes a single chip compiler and an ICD-U40 in-circuit programmer/debugger. The prototyping board features a PIC16F887 attached to a potentiometer, RS-232 level converter, pushbutton, three LEDs, and an ICD connector.